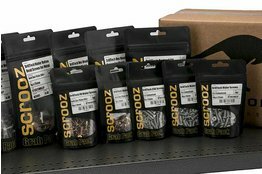 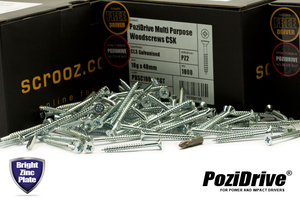 High performance professional grade twinthread wood screws for interior carpentry, joinery and general building. 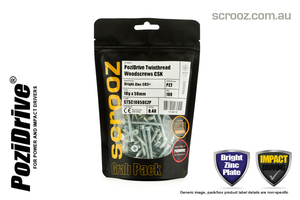 Twinthread double helix design for rapid driving in timber, up to twice as fast as most standard single thread screws and offering extra grip through increased threads per inch giving a stronger fix in thin sections and finish joinery. 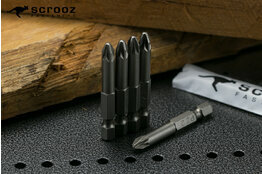 Smooth underhead countersink for flush finishing in door furniture, bracketry and general construction hardware. 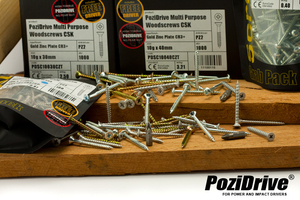 Pozidrive system for use with high torque power and impact drivers. 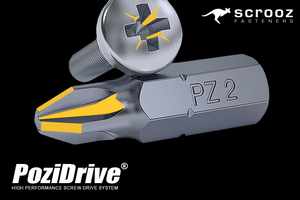 Sharp needle point for fast start and accurate screw positioning on the workpiece. 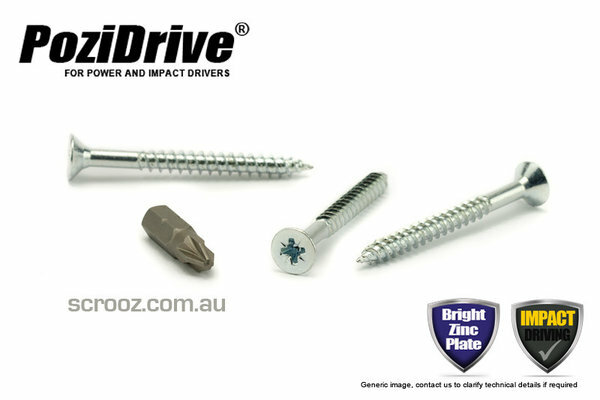 Double countersink strengthened head plus case hardened high strength shank to prevent snapping under driving load. Double helix twinthread form for extra grip and fast installation in timber. CR3+ SafePlate bright zinc plated finish for operator safe corrosion protection and to match door furniture and general hardware. 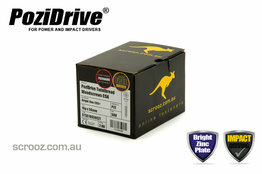 Free driver bit supplied in every box and pack. 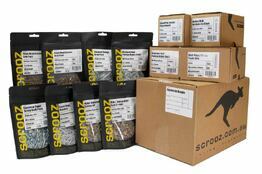 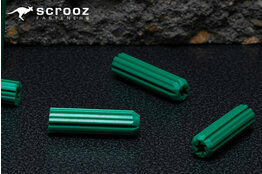 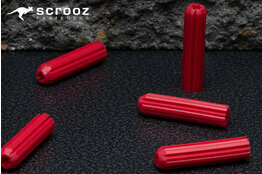 Supplied in cost effective trade boxes and convenient grab bags. Watch our movie to find out what PoziDrive can do for you.